Friday, December 7th, 2018 at 5:45pm. Arrival times are always approximate. The show would be from 6-6:30pm. Find Pre-Train activities in Hartland here. Friday, December 7th, 2018 at 6:55pm. Arrival times are always approximate. The show would be 6:55-7:25pm. Find Pre-Train activities in Oconomowoc here. This year (2018) the performers in Wisconsin are The Trews and Willy Porter. 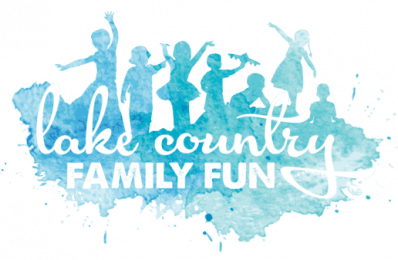 *Look how much fun Lake Country Family Fun and their readers had at the event in 2017 on Facebook and Instagram. Please remember to bring non-perishable food donations for the Food Pantry!!!! There is a friendly food fight going on between Hartland and Oconomowoc. So be sure to show up for your city/event location to support this fun cause! *Please note that it is common for the train to be behind schedule. Therefore, bundle up and prepare for a wait – bring snacks, a drink of water, and winter gear. 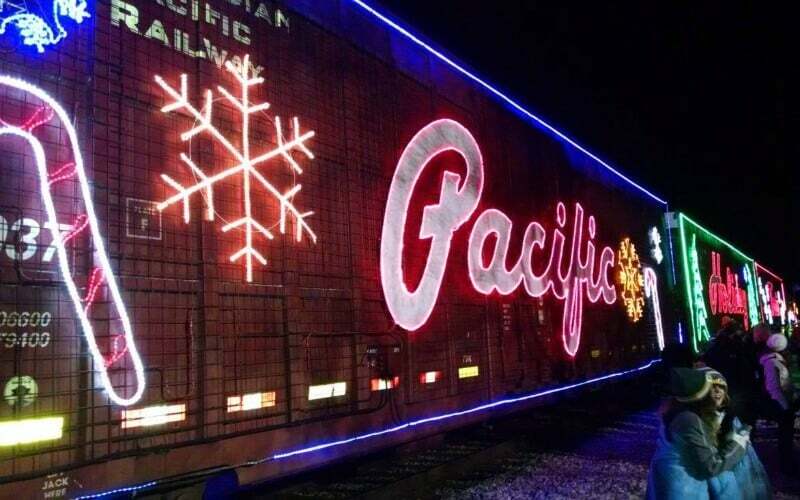 The Canadian Pacific (CP) Holiday Train is back for its 20th year in an effort to raise money, food and awareness for local food banks and food shelves. As in years past, two trains will operate coast-to-coast under the Holiday Train banner, with approximately 150 shows held across Canada and the U.S. in November and December. The train that operates primarily through the U.S. will launch in the Montreal area then head into the U.S. Northeast, Midwest and Great Plains before completing its final shows in Saskatchewan. Share your Canadian Pacific Holiday Train fun with Lake Country Family Fun on Instagram posts using #lovelcff. If you tag @Lakecountryfamilyfun in your IG stories, we will share to our stories.